Milwaukee Tool Scaling chisel is perfect for use with demolition hammer for cleaning concrete, scale, rust, cuts troughs as well as some asphalt. Chisel features forged high-grade steel construction. 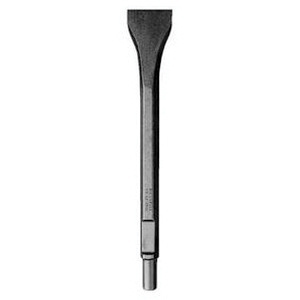 The SDS-Plus shank chisel has a dimension of 1/2-Inch Dia x 10-Inch.